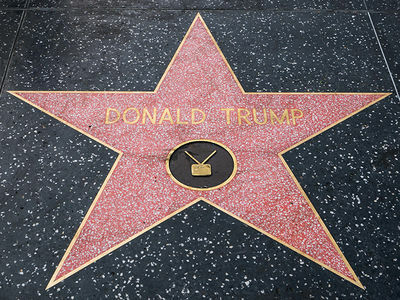 President Trump is now the official lighting rod for street fights on Hollywood's Walk of Fame -- and the latest violence got at least one person arrested. A huge crowd of Trump supporters and Trump haters gathered around 7:50 PM Sunday on Trump's star on Hollywood Blvd -- and fists started flying twice. The first fight broke out on the sidewalk, and a few cops were already on the scene. More officers responded as the crowd got out of control ... then one guy decided to get in a cop's face, and that started the second fight. LAPD says one juvenile was busted for battery on a police officer. A second suspect from the original fight fled the scene. As we reported, another brawl broke out last week in the same spot. 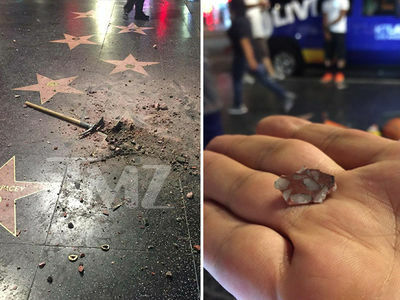 Ever since Trump's star died by pickax last week, courtesy of Austin Clay, crowds have rallied around that section of the Walk of Fame. Although the star's been replaced, there's obviously still plenty of anger to go around.